Typically, epidemiologic classification of various microscopic organisms (cells) is based on a number of factors including morphology/structure, mode of reproduction as well as ecology among others. Based on these factors, it is possible to determine the species in which the organisms are classified. While various species of these micro-organisms (bacteria, virus, immune cells) may have a number of similarities that allow them to be grouped together (as species), their surface antigens may vary and thus a need to classify them at a sub-species level. This is known as serotyping. Therefore, a serotype is the term used to refer to a group of organisms within a species that have the same type and number of surface antigens. Serotypes are different from strains, which have been described as single isolates from pure cultures or simply as distinct isolates of specific phenotypic/genotypic traits (or both). A serotype if also different from genotype which entails the set of genes (a heritable genetic characteristic) of an organism. Antigens play an important role in epidemiological typing (serotyping) due to the fact that there are variations in antigen composition even between closely related microorganisms. The different antigens trigger the release of different antibodies which means that they can also be identified through their reaction with specific antibodies. Therefore, in serotyping, it's important to have a good understanding of what antigens are. Essentially, an antigen is a substance that is capable of initiating an immune response by triggering the formation and release of specific antibodies (immunoglobin) or T cells. A majority of antigens are protein in nature but some are made up of polysaccharides. In immunology, these substances (antigen) can be found on given parts of such microorganisms like bacteria or viruses. For instance, antigens may be found on the cell wall, coating or the flagella of the organism among others. Despite being very small in size, antigens are also made up of several important parts. For instance, the epitope (antigenic determinant) is the part of the antigen that is recognized by the antibodies/B cells/T cells. Antigenic specificity of the molecules, therefore, resides on this part of the protein. 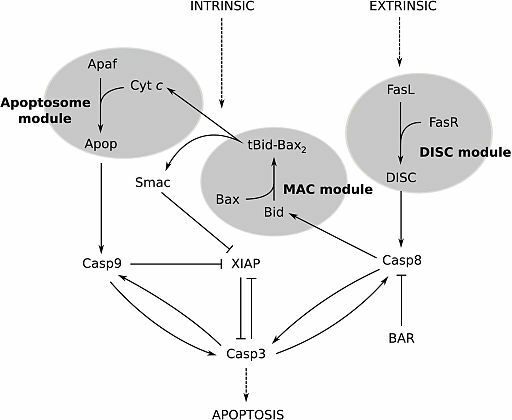 It is the only part that is recognized by the binding site (paratope) of the responding immune molecules. Continuous epitope - refers to short linear peptide fragments capable of binding to antibodies that are raised against the intact protein. As such, it is composed of a sequence of amino acids that is linear in shape. Discontinuous epitopes - This is the type of epitope in which the residues are not continuous in sequence and thus may appear folded in their conformation. * Some molecules are antigenic in nature but not necessarily immunogenic. They are referred to as hapten (incomplete antigen). Like antigens, these substances are also capable of eliciting an immune response when they are bound to a large protein carrier. 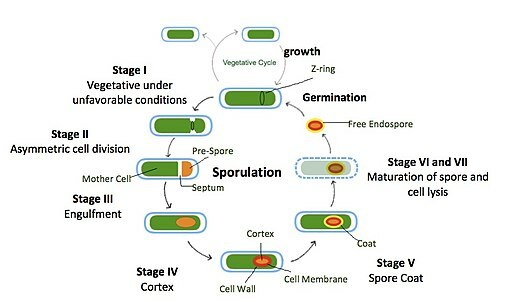 Whereas specie refers to organisms that are related based on genetic, biochemical and phenotypic criteria, a strain refers to isolates of a given species based on a number of characteristics including serotyping, enzyme type, functional traits and protein plasmid characterization etc. Compared to serotypes, which are characterized based on antigen properties, identification of a given strain is based on several characteristics. Despite the fact that phenotypic and genotypic are important characteristics, strains, in the taxonomic sense, can still retain their identity despite changes in their phenotype. Moreover, given strains (isolates) can acquire additional genetic material from different strains in their surroundings. It has proved more challenging to describe microorganism strain as compared to serotypes. * Physiological properties therefore play an important role in describing strains especially in cultures. * While the characterization of strains and serotypes are different, different strains can be categorized based on their respective serotype. Essentially, genotype is the term used to refer to the complete set of genes of a given organism. This set of genes (genetic information) includes instruction that ultimately determines the characteristics of the organism in its environment. Genetic information is inherited from the parent organism and passed down to the new generation and so on. Over time, however, the genetic information may change as has been observed with some strains of bacteria. In such cases, the strain acquires genetic material from other strains in their surrounding, which may impact some characteristics of the organism. Even without changes in the genetic makeup of the organism, epigenetic factors, and various environmental factors may influence the characteristics of the organism. In such cases, despite having similar genotypes, two organisms may have different characteristics. Therefore, the genotype may influence both the type of strain and serotype of an organism given that it is the genetic makeup of an organism that is one of the factors that influence specific traits. The genus Salmonella includes Gram-negative, facultative anaerobes that are suggested to have evolved from E. coli bacteria. Salmonella species are pathogenic in nature and have been associated with various cases of food poisoning across the globe. Although the species can also survive as commensals, they are also pathogens of both human beings and animals. Currently there are well over 2500 serotypes of Salmonella. All the serotypes have been shown to be capable of causing diseases in human beings with a few being host specific. Here, the Salmonella is characterized by 2 H antigens that may occur on either or both phases (Phase 1 and Phase 2). Here, the organism is also capable of changing between phases from one to another. For those that express one of the antigens only, they may either be motile or non-motile. * Salmonella serotypes (entericaserovars) that have similar antigenic specificity are known as monophasic (E.g. Typhi). * Salmonella serotypes/serovars with two H antigenic specificities are referred to as diphasic (e.g. 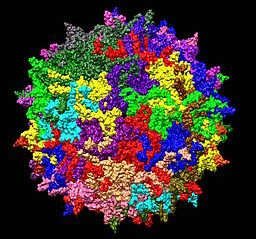 Typhimurium). This particular antigen is located on the outer membrane surface (outermost part of the lipopolysaccharide). This sugar molecule (lipopolysaccharide) is an important virulence factor and is therefore an important factor in the determination of the serotype. An example of this is the Salmonella enterica subspecies 1 serovar Typhimurium which infects the human gut and is responsible for various diarrheal infections across the globe. Only a few organisms possess the antigen Vi. Compared to other antigens, Vi is a superficial antigen that overlies the O antigen. As such, it can be described as an additional antigen in that it is an addition to O antigen. The antigen is the determining characteristic of Salmonella enterica serotype Typhi that causes typhoid fever in humans. * Once the antigen has been identified, Kauffman-White referencing category is used to identify the antigenic formula of the serotype. * A majority of serotypes have the H antigen (about 1800 serovars). * Using specific cultures, the strain of the organism can be determined. Once the isolates have been identified, polyvalent and monovalent antisera can be used to test for agglutination and thus determine the antigen. Start by identifying the species using pure culture. Some of the media used include Muller-Hinton Agar, Triple Sugar Iron agar, Lysine Iron Agar etc. Use polyvalent sera to test for agglutination. This may be followed by using given monovalent sera. Identification can be achieved if agglutination occurs within 10 seconds. Discovered in 1885, E. coli is a gram-negative bacillus normally found in the lower intestines of both human beings and animals. Although E. coli is part of the normal flora in the lower intestine, there are various strains of the bacteria that are responsible for a number of gastrointestinal illnesses. These strains have also been associated with a number of serious complications such as Thrombotic thrombocytopenic purpura which is a rare blood disorder. A good example of these strains is the Shiga toxin-producing E. coli. This group of E. coli strains can produce Shiga toxins that tend to inhibit protein synthesis. In human beings, this group of organisms has been associated with severe enteric/systemic disease. The different strains have different characteristics that are used in their identification. For instance, whereas Enterohemorrhagic (EHEC) strains can produce Shiga toxin, Enteroinvasive have mechanisms that resemble those of Shigella. Having identified the species, these different characteristics and mode of action (disease-causing mechanism etc) allow for the strains to be identified. 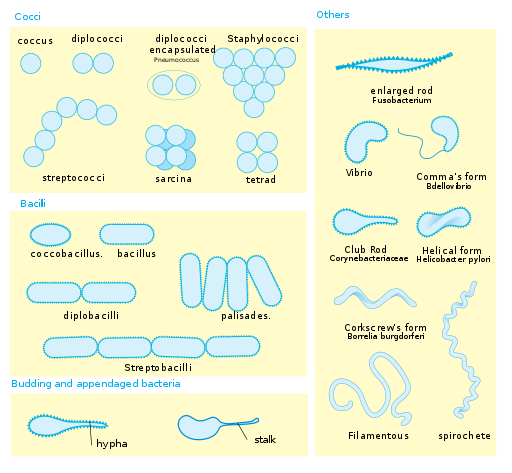 Apart from strains, which are used to categorize E. coli sub-species, the organisms can also be further divided into serotypes. With regards to serotypes, it has been suggested that well over 50,000 serotypes of E. coli exist. The number that are pathogenic is much lower. Today, more than 200 serotypes of E. coli have been identified including about 180-O antigen serotypes, 80-K antigen serotypes and about 60-H antigen serotypes. Currently, a majority of pathogenic strains of E. coli are categorized based on O-antigens. These serotypes are characterized by lipopolysaccharide present on the cell envelope of the organism and also an important virulence factor as is the case with Salmonella. On the outer membrane, the O-antigen appears as a polysaccharide. In the event that the antigen (O) is lost, virulence is affected, which shows that the polysaccharide is an important virulence factor. The molecule (polysaccharide) is therefore used as a biomarker for E. coli classification purposes. This antigen is encoded by the gene fliC and is a part of the flagella. It is also responsible for motility of the organism given that it makes up the flagella. Apart from enhancing motility, the antigen has also been shown to play an important role in attachment given that it also acts like an adhesin. * The amount of this antigen varies between organisms and is, therefore, an important factor to consider during identification and categorization. K-antigen serotypes have capsular polysaccharides that are acidic in nature. It is also thicker with a mucus characteristic that makes the strain resistant to the actions of polymorphonuclear leukocytes. As a result, it has proved equally difficult to identify the serotypes using phagocytes since opsonization does not take place as desired. Members of K-antigen group are further divided into three main groups (group I, II and III). The three groups have a few different characteristics that allow for easy identification. Although serotype, strain, and genotype do not mean the same thing, they are connected with regard to the organism being identified. Genotype, which is concerned with the genetic makeup of the organism, contributes to both the characteristics of the strain and serotype. This is due to the fact that the genetic makeup of the organism will ultimately contribute to its general characteristics. Therefore, genotype has a direct impact on the type of strain and serotypes. Serotypes may be viewed as a further categorization of strains. This is because of the fact that strains of different microorganisms can also have varying antigens and thus a need to categorize this further based on these molecules. L. Dijkshoorn , B.M. Ursing, J.B. Ursing. (2000). Strain, clone and species: comments on three basic concepts of bacteriology. Journal of Medical Microbiology 49: 397-401. Marc H. V. Van Regenmortel. (1995)Structure of Antigens, Volume III. Selamawit Debebe. (2004). Immunology and Serology. Lecture Notes For Medical Laboratory Technology Students. Alemaya University.